A mysterious trial of a new virtual reality game takes a sinister turn for its players. The Call Up is a film for modern times - after all, with the development of equipment such as Oculus Rift we’re not very far off from having this kind of technology. The Call Up, although taking a slightly surreal, sci-fi/horror angle, is not really all that far-fetched, and may be a cautionary insight into our ‘virtual’ future. 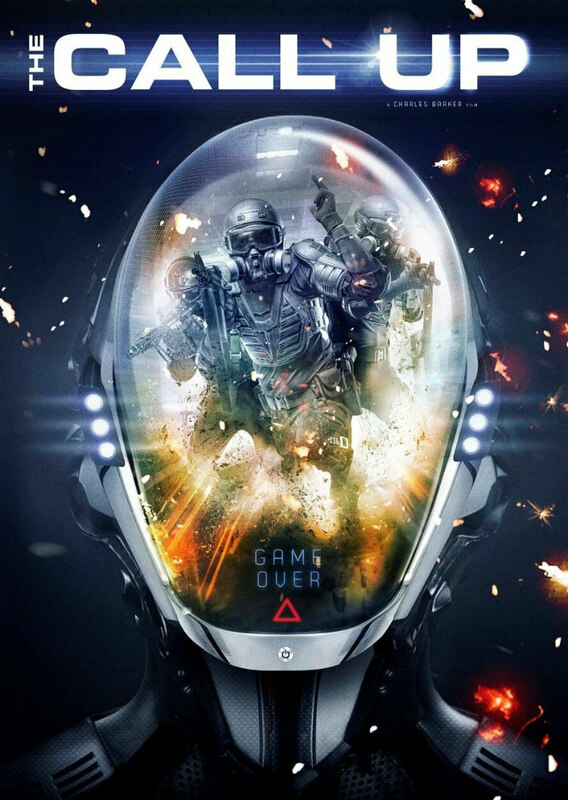 In 2011, Charles Barker’s The Call Up, a sci-fi horror script set in the world of virtual gaming, topped the Brit List, which ranks the best unproduced screenplays in the U.K.\Irish film community. Now in 2016 we can finally see Barker’s finished film. The Call Up sees a group of hot-shot online gamers sign-up to a mysterious trial session of a state-of-the-art virtual reality video game. It seems like an opportunity to participate in an immersive gaming experience that is impossible to resist. Following instructions by phone, the gamers arrive at the test site situated in a down-town skyscraper. They know little about what to expect. They are issued with sleek, custom-made, hi-tech virtual reality head gear and armour, and excitedly prepare for an innovative, next-level gaming experience that promises to bring modern warfare to life with encompassing realism. It starts as an exhilarating experience – a unique encounter with cutting edge video technology – a perfect 3D representation of soldiers fighting terrorists holed up in a ‘derelict’ building. However, the game soon takes a sinister turn. Once the group are instructed by a ‘virtual’ commander and attacked by the enemy soldiers, they realise this is not entirely a harmless game. Make a mistake in the virtual world and you pay the price, even in the real one. As the game progresses, the boundaries between fantasy and reality begin to dissolve, and these armchair combatants slowly realise that this time, their fight for survival is for real. Even their lives are at stake if the game goes too far. The Call Up is a salutary warning about what may happen when virtual reality gets to the stage of being able to live out anyone’s fantasy. What might initially seem an exciting proposition might remain so for those in control, but can soon turn bad for others less powerful that become pawns in someone else’s game. As a basic concept for a thriller – a game gone wrong - The Call Up might seem familiar, but I haven’t seen anything quite like it. The movie is a good ensemble piece, featuring eight gamers altogether - these multiple points of view can give you good range within a storyline. The characters are different but recognisable types: the good guy who aspires to heroism, a feisty, yet compassionate heroine, an alpha-male bully, an overweight gaming nerd, a no-nonsense ex-military dude, a misunderstood foreigner, the business ‘suit’ looking for kicks, and the fearful girl who is there by accident, but suddenly grows cojones during the proceedings (albeit a bit surprisingly in this case). Even though the situation is in the enclosed and regulated space of a ‘shoot-em-up’ video game, director Barker sidesteps the unavoidable repetition and manages to present some development in each scene. When making a decent thriller movie, the question of what comes next needs to be kept foremost in the viewers' minds as the movie progresses. In the case of The Call Up the pacing is kept high in order to create the right amount of tension throughout. There are point-of-view shots where the camera allows the audience to share the same view of the scenes the way the characters see it in the game they are playing. I especially enjoyed the occasional contrasts between the dark, murky environment of the immersive game and, as the participants flipped up their visors to break the spell - the sleek, clinical, brightly-lit, white-walled reality of the test site where the action is actually taking place. 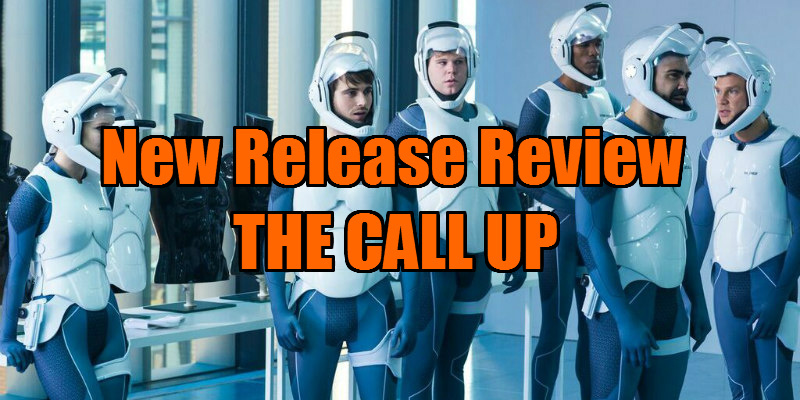 The Call Up ticks many of the boxes that make a good thriller: it has a strong narrative thrust; there are engaging sympathetic and antagonistic characters; the protagonists fall victim to someone else’s scheme and are trapped in an unexpectedly menacing and deadly situation. There is a ticking clock, so there’s no time to waste loitering about, and ultimately we are presented with a (not entirely surprising) plot twist. The whole movie was filmed in Birmingham, though you’d never know it. With use of electronic music by Tom Raybould, it all looks pretty slick, (which will do no harm promoting Brum as a cheaper alternative to filming in London). Production values are high and the movie looks much more glossy and expensive than it has any right to.